Creating Cooperative Learners - I Love ABA! * Unsure what the heck "learning how to learn" means? Check out this audio post. When a learner starts ABA therapy, especially if they are very young, they may be lacking the ability to benefit from varied instruction. Or to put it another way, the learner doesn't know how to learn yet. This means they may only be able to learn in highly structured ways, with lots of repetition, potent tangible reinforcers (praise may not be reinforcing yet), and problem behaviors that interfere with learning may abound. ABA professionals would approach this type of client by first teaching specific skills that lead to effective cooperation and compliance with adults. This can sometimes be called “Compliance Training”. You may be wondering, “So what if the individual is largely defiant, dismissive, or uncooperative with adult demands/requests. Why is that important?”. A cooperative learner is not just important, it’s critical to effective teaching. If you are a parent, think about how many times a day you state a demand to your child (“Time to get up/Make your bed/Come eat breakfast/Can I have a hug?”). How abruptly would the day screech to a halt if your child replied to instructions with problem behavior, such as a loud “NO!”? 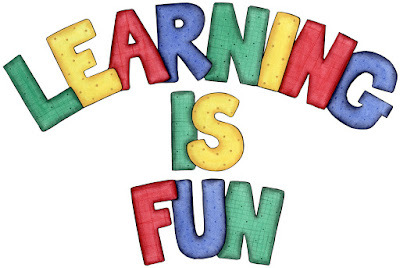 If you are a teacher or ABA professional, think about how many times during learning opportunities you deliver instructions or requests (“Come sit down/My turn/You need to share/Walk in the hallway/Open your reading book”). How can you effectively teach a student or client who ignores your instructions? Clients/learners who are largely non -compliant in a school setting often face a host of problems and difficulties, such as disciplinary actions, suspension, or being moved to more restrictive classrooms. Children in a home setting who are largely non -compliant often have intense difficulty with change, transitions, and the parents often report high levels of family stress and frustration. If cooperation and compliance is an issue for any of your clients, then the following strategies should help you greatly. These strategies can transform an oppositional and defiant client into a cooperative learner. · Behavioral Momentum is your friend - Think “you pick……you pick…..I pick”. Layer your demands underneath a few highly preferred requests, so the individual is on a roll of complying and contacting reinforcement before you present your actual demand. I know this sounds too simple to work, but trust me, it definitely works! · Choices, choices, choices - When working with some of my most defiant clients, the entire session is strategically and intentionally designed to be all about what that child wants to do. Where will we sit? What book will we read first? Do you want your snack now or after I leave? Should we work on sight words or counting first? Offer lots of opportunities to make choices, and encourage the client to have input into their therapy sessions. I once had a client who made her own activity schedule for each therapy session. We would discuss what we needed to work on, she would pick the order of tasks, and what she earned for completing tasks. One of her biggest reinforcers was mimicking the therapist by turning the tables and making the therapist pretend to be her student. She loved it! That child quickly transformed into a highly cooperative learner who loved therapy time. · Consider task modification - If there are particular transitions or tasks that precede oppositional behavior, can you put the task on hold? Just until compliance is established? For example if the client hates to go outside, is it necessary they go out for recess every day? Especially if they spend the entire time trying to get back inside? Sometimes as professionals we can get stuck in a place of “do it because I said so”, aka power struggle territory. Ask yourself if the purposefulness of the task is being exaggerated, because you want to save face. So what if the client doesn’t go to recess, maybe that time could be used to work on more preferred tasks in the classroom with an aide. Then, a systematic plan can be put in place to gradually increase the child’s ability to go outside with the class. · Lower task difficulty – Similar to modifying the task, have you considering bringing response effort wayyy down? If every day it is a mighty struggle to get your client to do their homework, what if you approached them and gave them ONE homework problem to complete? Imagine their shock and delight when they realize after they complete that one problem they will be finished with homework. 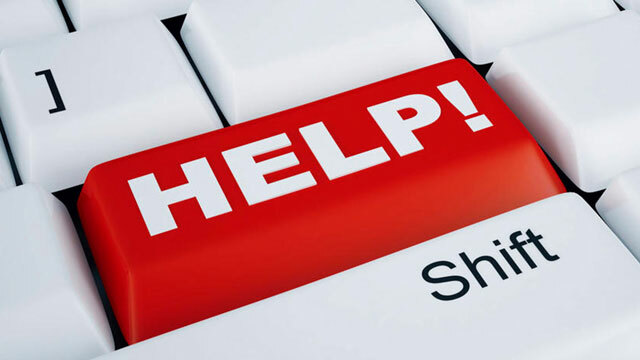 Look for ways to minimize the difficulty of the task, such as reducing the workload, offering your assistance, or structuring the session so that you present 4-5 mastered tasks for every new or unknown task. · Regularly update reinforcement – For some of my least compliant clients a super quick way to move them from defiant to compliant is to arrive at the session with new stuff! Yes, it can really be that easy. I regularly go to dollar stores, Target, Party City, etc. and update my “goodie bag”. Just the fact that the items are new is often enough to pique the interest of my client, and from there it’s easy to make accessing the item contingent upon specific behaviors (“As soon as we finish the puzzle we can open up the toys, so should we do the puzzle at the table or on the floor?”). Also, don’t forget to keep a stash of 24K items. · Is it a Can’t Do or a Won’t Do – I had a professor in grad school who really hammered into my brain the difference between a true skill deficit (can’t do) and a lack of motivation (won’t do). Unfortunately, in my role as a Consultant I find that most people assume everything is about compliance. The child won’t complete their homework because they are trying to annoy you. Or the student keeps getting out of his seat just to be a brat. Have you considered if the learner has the ability to perform the requested behavior? 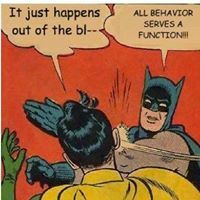 When parents/teachers describe a specific behavior problem to me, one of my first questions is usually “Are you sure the learner knows how to do it?”. It’s a good question to consider before you jump into creating an intervention. We as professionals often want to assume that our client “knows what he/she is supposed to do”. Hmmmm, you sure about that?? Take the time to assess if you are dealing with an actual skill deficit, because if you are then you need to teach the skill to correct the behavior. My 4 year old is highly compliant at home, and is very academically advanced in comparison to his peers. Highly verbal, conversational, etc. Basically, there is not much to teach him at home 1:1 because he has covered all goals very far ahead. Yet, in typical school setting, his days look like he is unable to participate in group setting very well. He still stands up during circle time to walk around, and he needs direct prompts to join group of kids, and to follow to routine. One side is he is very fidgety and can't sit still, but also socially anxious from the crowd of kids. So his social/group experience looks like someone trying to dip his leg into the lake, but constantly pulling back because he is worried the water is too cold. How critical is to have a 4 year old ASD child sit and participate in circle time? Or is peripheral exposure beneficial? In other words, do we need a specific circle time program, or let him test on his own terms? It sounds like while doing well at home, in the classroom/preschool setting your child is exhibiting more deficits. This is not uncommon, as while in-home ABA has many benefits, group instruction or peer interaction typically are not possible. This means that you may need to teach/target classroom skills separately from what is worked on at home. This also is not unusual, many of my clients work on very different kinds of goals in the school setting than they do at home. 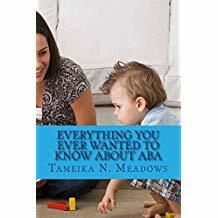 I can't address your other questions without working with your child personally, but I would suggest discussing how exactly to program for these issues with the ABA team/BCBA.